AFRICAN horror movies are synonymous with Nigeria's Nollyhood filmmakers who have since the turn of the millennium produced numerous horror films portraying witchcraft, romance and fantasy in a broader African society. Although witchcraft is arguably commonplace in Zimbabwe, few local film makers have had the audacity and wherewithal to produce movies inspired by mystery and the underworld just like their Nigerian counterparts. However, Rebel Film Productions – a new film stable based in the City of Kings and Queens seems to have taken a cue from Nigerian script writers culminating in the production of their debut horror film – Moonlight Cross premiered at a red carpet event in Bulawayo recently. Like most Nigerian movies popularly known in general terms as "African" movies in Zimbabwe the film is a fusion of fantasy and romance and explore the story of a dead man who is brought to life as a goblin-slave. Although the creators of the film insist the movie was produced at a zero budget, the film is a fairly eye-catching piece despite the grisly nature of the country's film industry characterised by a comatose market. "We produced this film on a zero budget but we managed to come up with something worth watching," Mhle Nzima the script writer insisted during his speech after the premier. 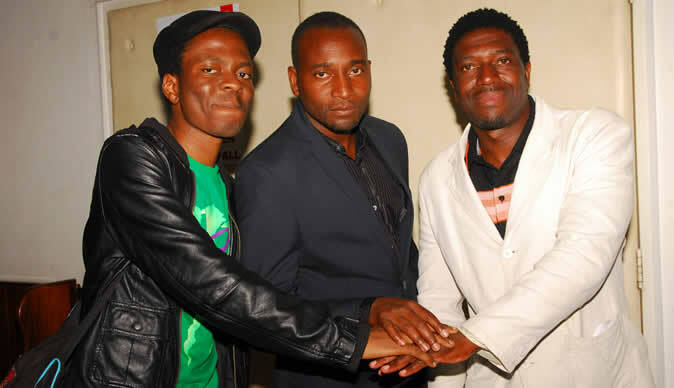 Although the script and the screenplay seem divorced making it difficult to follow the storyline, the producers of the film Mhle Nzima, Gani Phiri and Percy Soko deserve compliments for their innovation. The animations and special effects, setting and choice of the cast render the film undoubtedly a thriller. Although members of the cast such as the vivacious Pride Mpofu who features as Gciniwe and Ryan Young who features as Cross are a marvel to watch, too much use of the Queen's language divorces the film from its African flare. The film could have been more appealing in vernacular, say pundits in the film industry. Other actors/actresses who dazzle the 75-minute piece include Nigel Tom acting as a zombie and elderly Ellen Mlangeni who features as the maid. At a glance the film which its creators are confident will leave movie lovers asking for more vividly explores witchcraft, romance and fantasy and is tipped to headline cinema shows country-wide.